SFCC Corpsmembers and staff celebrated the year end by enjoying Pier 39's Blue and Gold Cruise around the Bay and Vallejo's Six Flags: Discovery Kingdom! We enjoyed setting sail aboard Blue & Gold Fleet's 60 minute Bay Cruise Adventure, sailing past Pier 39 sea lions and along San Francisco's historic waterfront, revealing the city's incredible architecture and skyline. 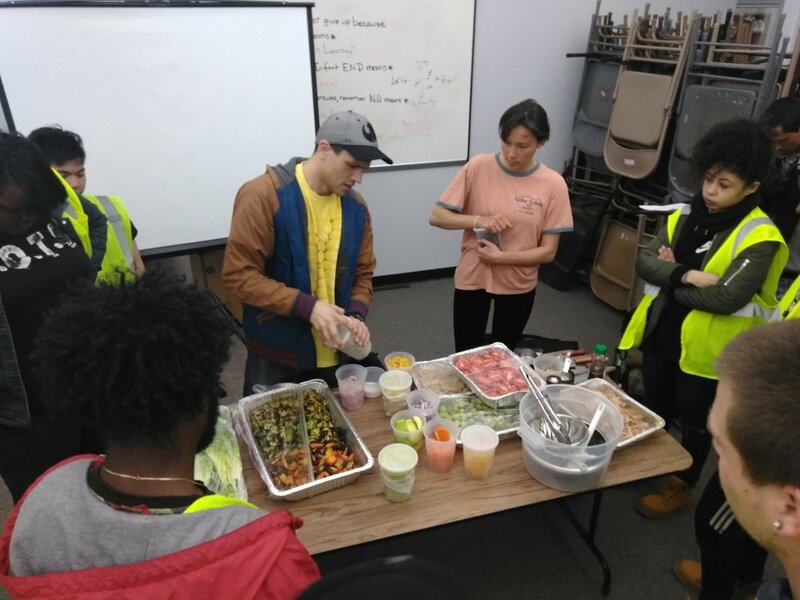 After arriving at the next point of adventure, we shared a delicious meal together and expressed gratitude for the opportunity to celebrate another year of growth and civic engagement. After food settled, it was time to conquer fears and embrace the thrill of Six Flag's Superman, featuring speeds of up to 51 MPH and a 100 foot drop! Thank you all who made this celebration so special! 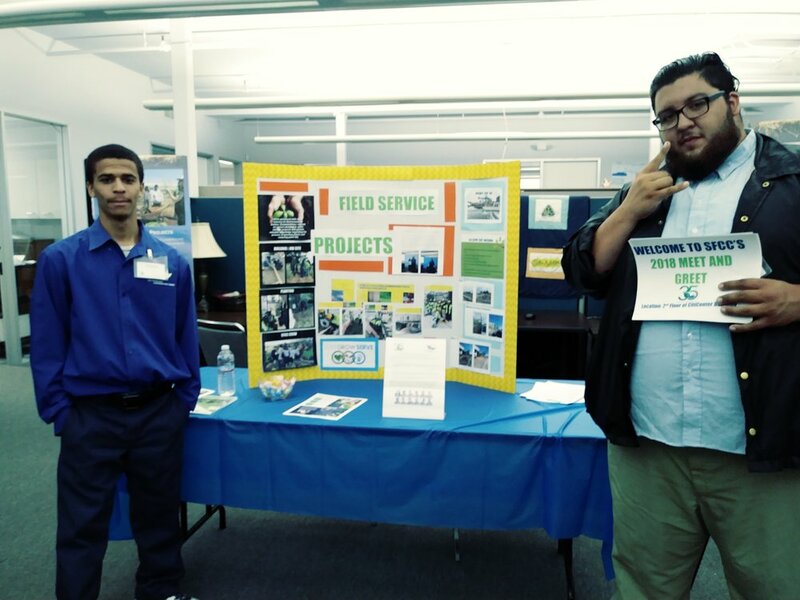 On June 1st, SFCC began our Pre-Apprentice Readiness Training for our 16th Cohort! 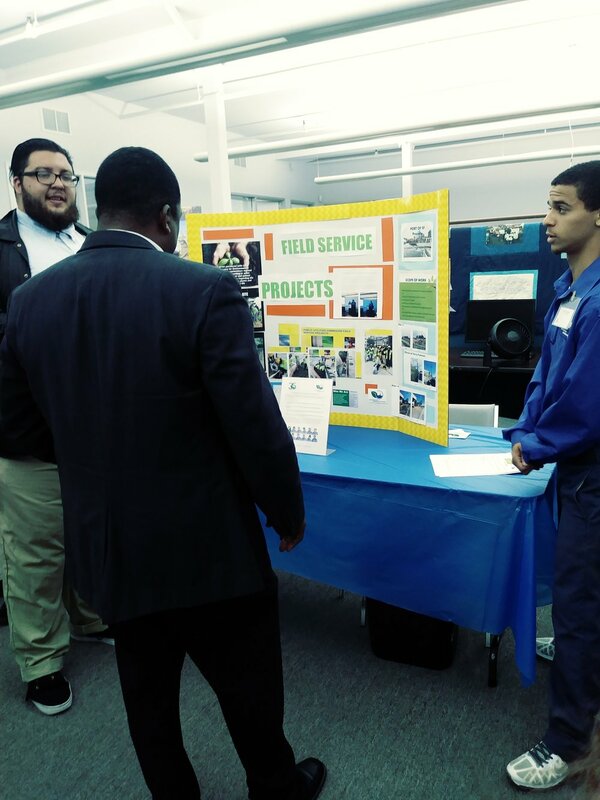 This program prepares participants for the building trades and construction fields. Funded by Prop 39, this 4-week intensive course welcomes both women and men, and covers topics such as MC3 Curriculum, blueprint/design math, PPE and safety training, tools and materials usage, interview skills (resume/cover letter review), and includes field trips and guest speakers. 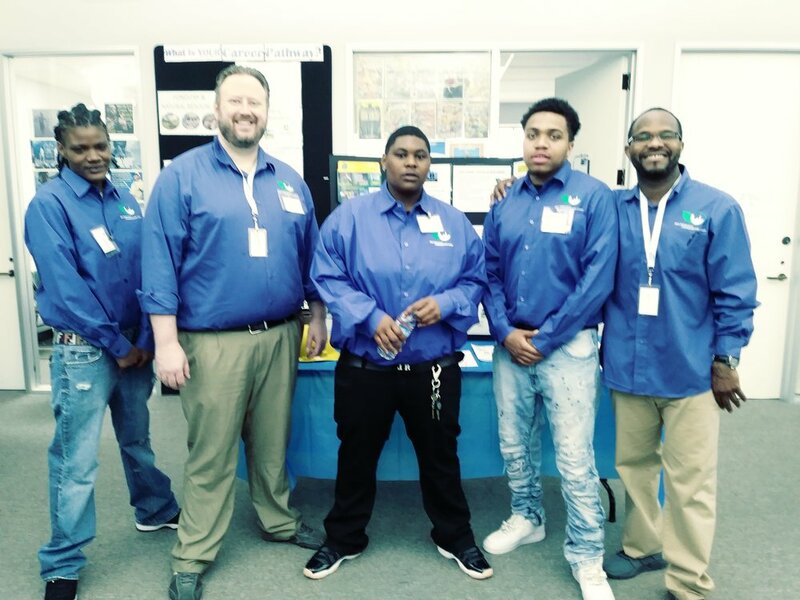 Pre-Apprentice participants gain hands-on experience while getting industry-recognized certifications that accelerates their job placement upon completion. 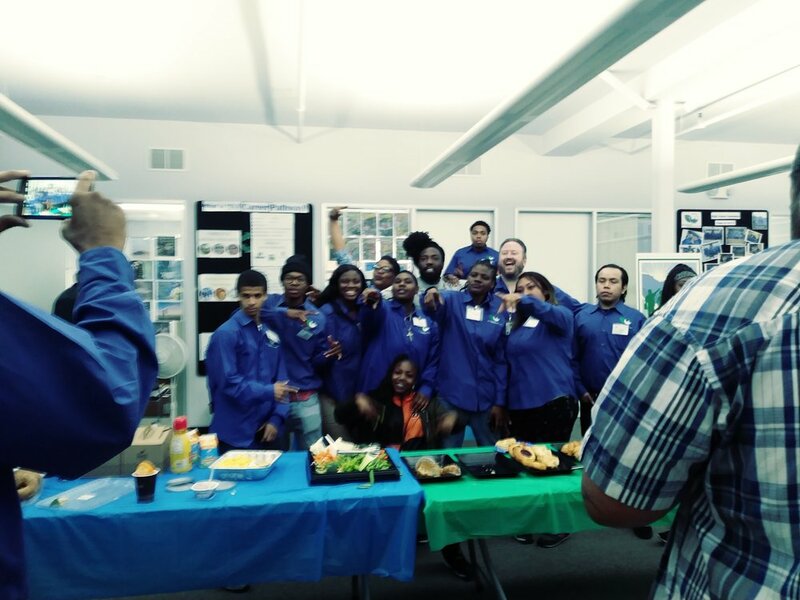 On Friday, May 25th, SFCC Corpsmembers and staff hosted our annual Meet and Greet! 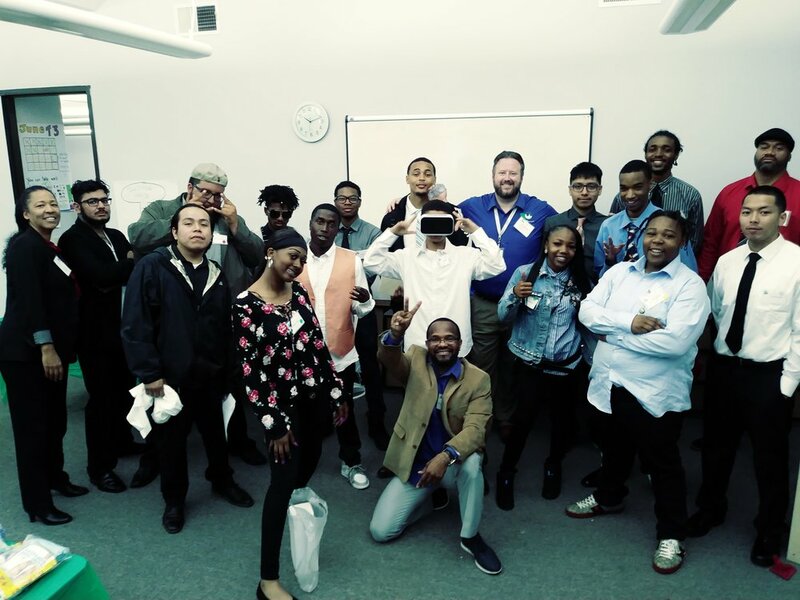 We engaged in informative and inspiring conversations around our community collaborations and dedication to helping young people realize their full potential and impact through civic engagement. 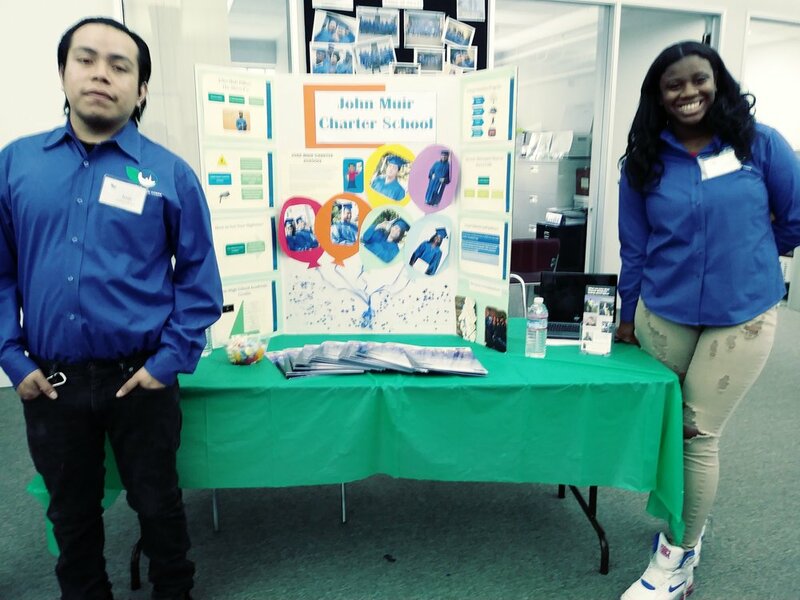 We presented on our approach to recruitment and outreach, career development, on our partnership with John Muir Charter School and several of our recycling (Beverage, E-Waste, Tires & Oil) and field projects we've had the pleasure to work on during the 2017-2018 year! 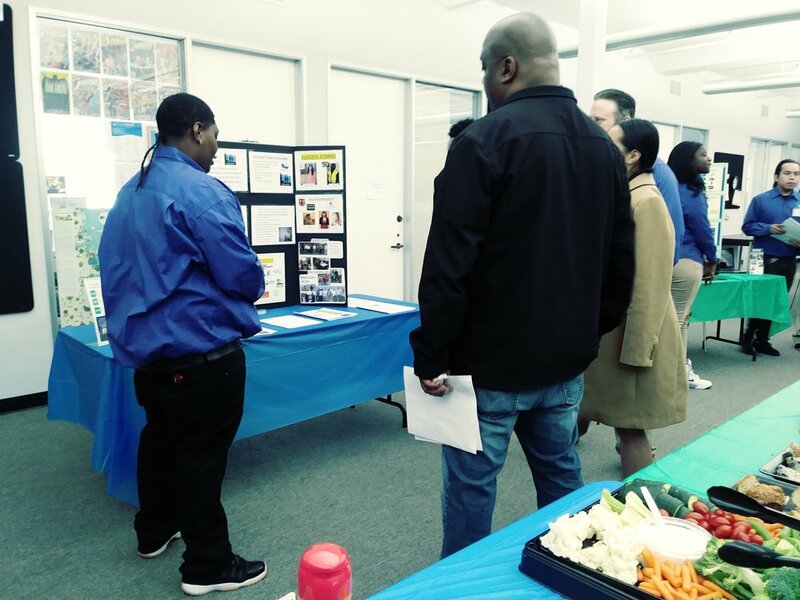 Thank you to all who attended to learn about the impact that SFCC has been having on the community and in the lives of young adults! 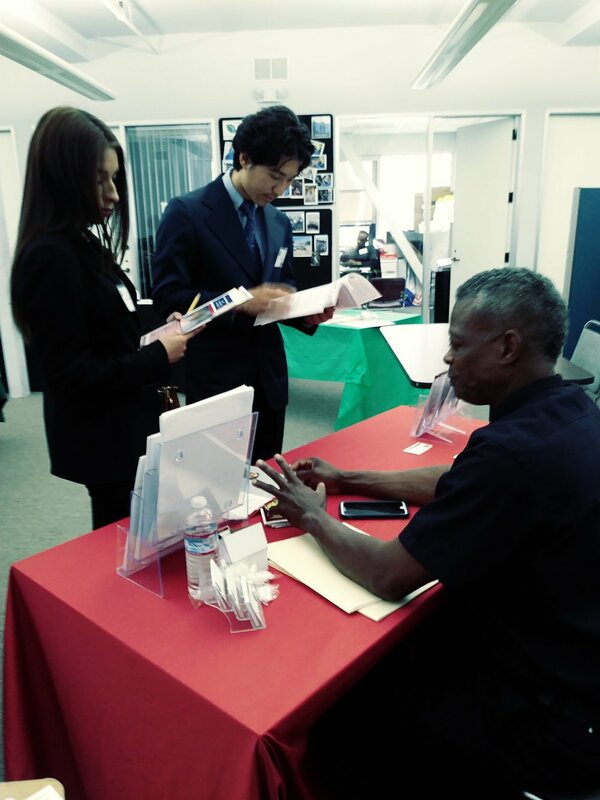 On Wednesday May 9th, SFCC Corpsmembers and Staff welcomed San Francisco Mayoral Candidate, Mark Leno, to get informed and engage in a powerful discussion on some of San Francisco's most pressing issues: Fighting Homelessness, Affordable Housing, Environmental Justice and Reforming our Criminal Justice System. For more information on Mark Leno's platform and stance on issues, click here. 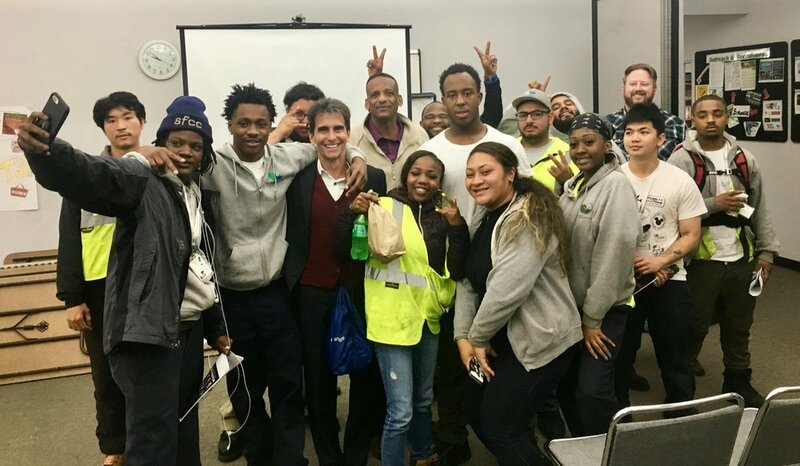 Thank you, Mark Leno, for visiting and having the conversation with the youth of San Francisco! 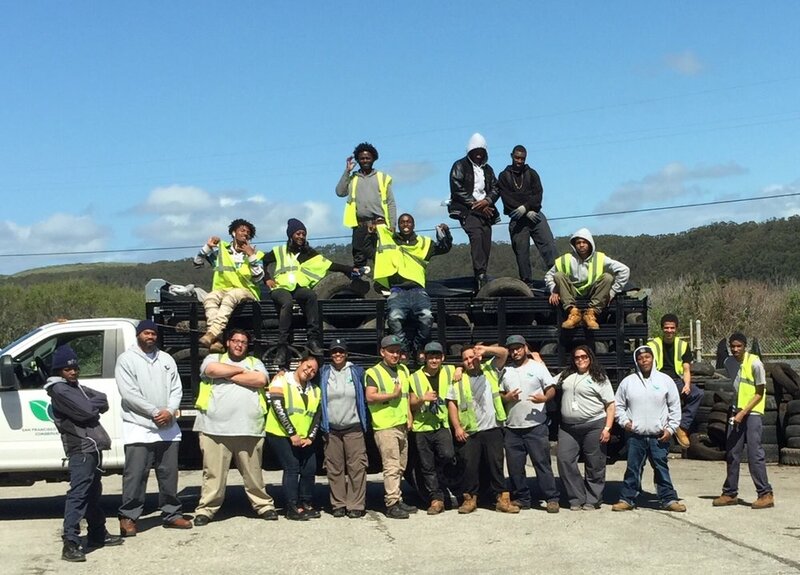 On Saturday, April 21st, SFCC Corpsmembers and Staff attended the Sunnydale Community Clean-Up and the Daly City E-waste and Tire Amnesty Collection Event. This was SFCC's second year participating in the Sunnydale Community Clean-Up, and we were excited to be part of this effort again! Corpsmembers picked up trash and helped to beautify the neighborhood, even getting support and encouragement from the residents. 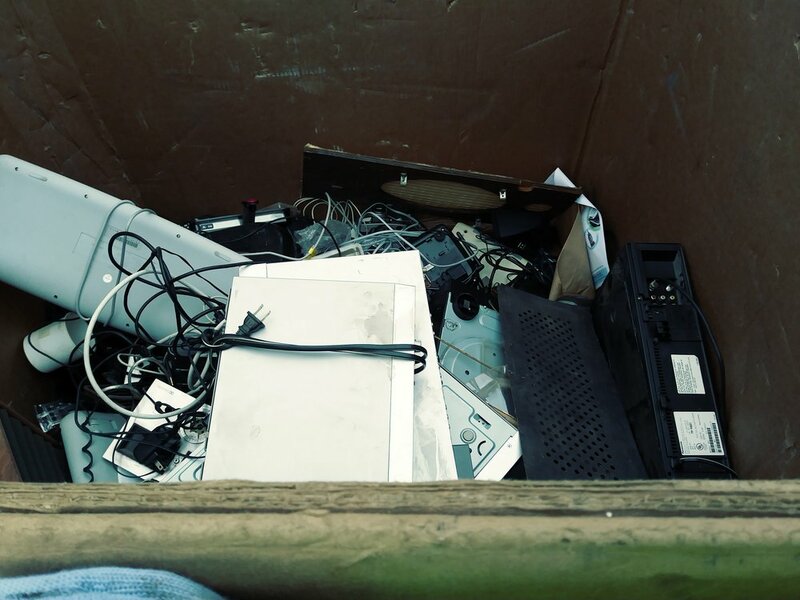 SFCC Corpsmembers collected E-waste and Tires at Daly City, where community members dropped off items to be recycled. We filled more than 50 gaylords of electronic waste! As part of the Earth Day celebrations globally, we were proud to be part of reducing waste in the San Francisco Bay Area. 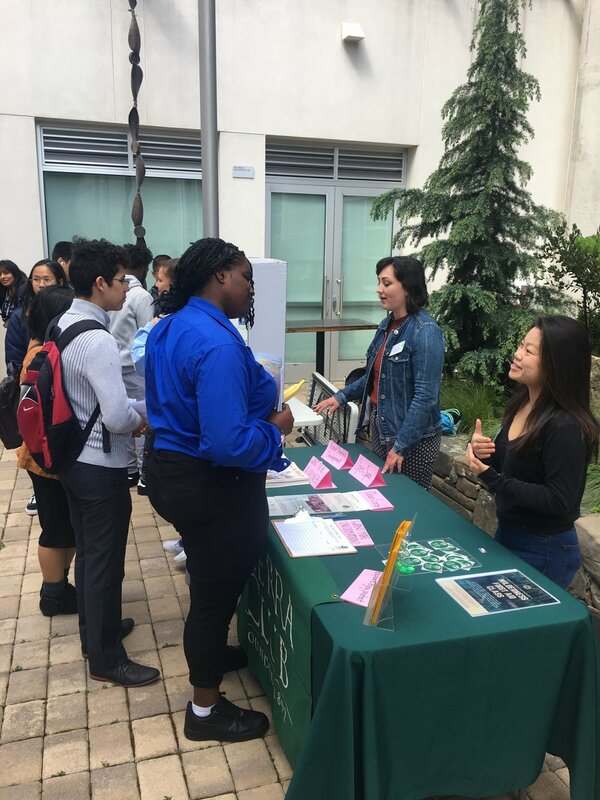 On Thursday, April 12, SFCC Corpsmembers and staff attended our second annual Green Careers Conference at the David Brower Center in Berkeley hosted by Strategic Energy Innovations and Energize Schools. 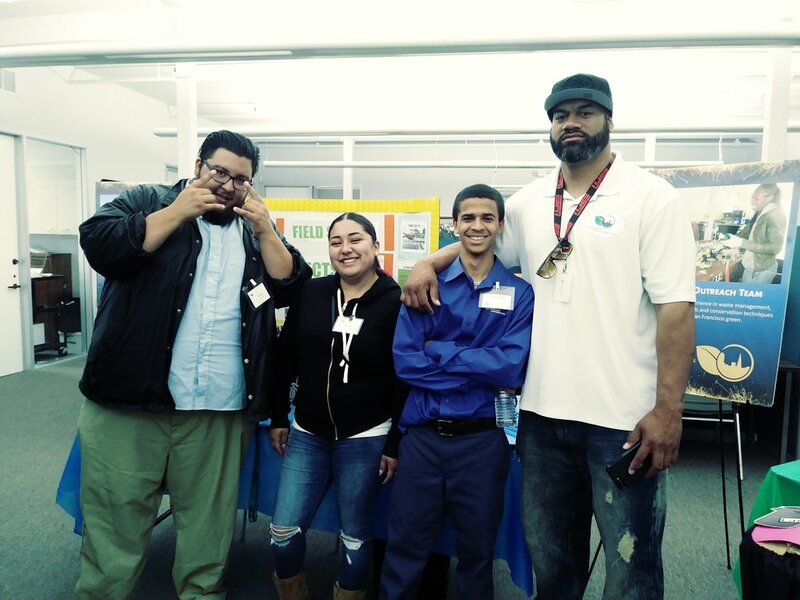 At this informative and inspiring event, we learned about environmental and energy jobs and training opportunities- including workshops from the Center for Ecoliteracy, PG&E, Rising Sun Energy Center, GRID Alternatives, the Natural Resources Defense Council, and many others. The keynote, Kelsey Skaggs, spoke about "climate law", and how she's representing people at the front lines through the nonprofit she started- Climate Defense Project. 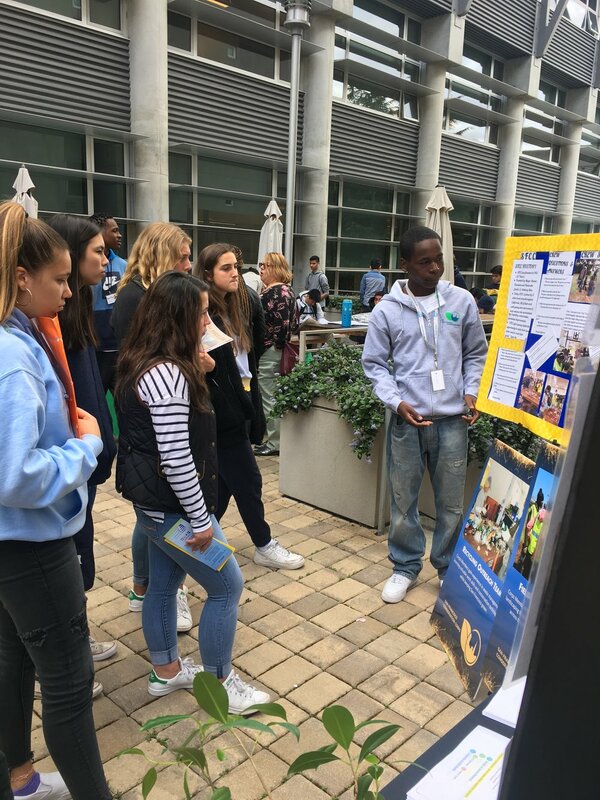 SFCC tabled and networked with other schools and organizations throughout the Bay Area, and one of our Corpsmembers, TyJay, even presented on SFCC's Recycling Operations Center! 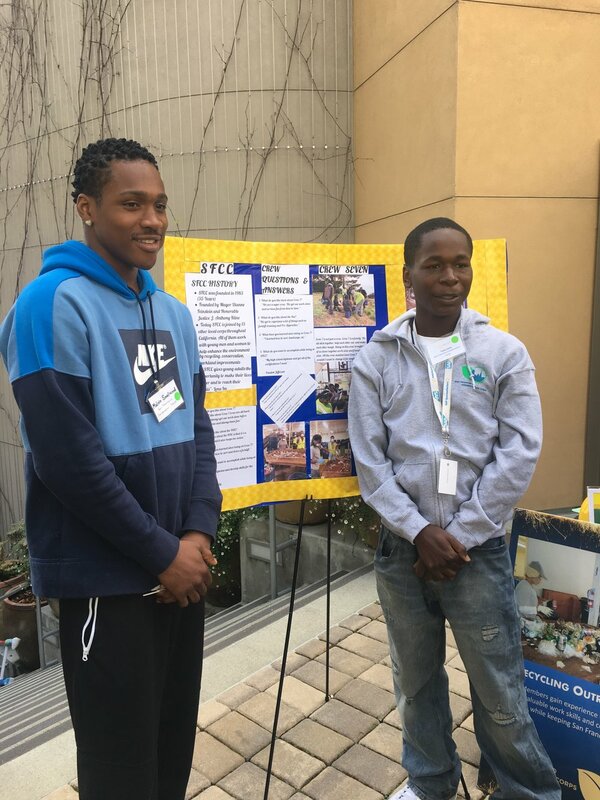 During the John Muir Charter School trimester break, SFCC hosts a 2-week intersession workshop so our Corpsmembers can continue learning and gain new skills. This month, our topics included Real Talk group discussions, Emergency Preparedness, and Food Security/Healthy Eating. 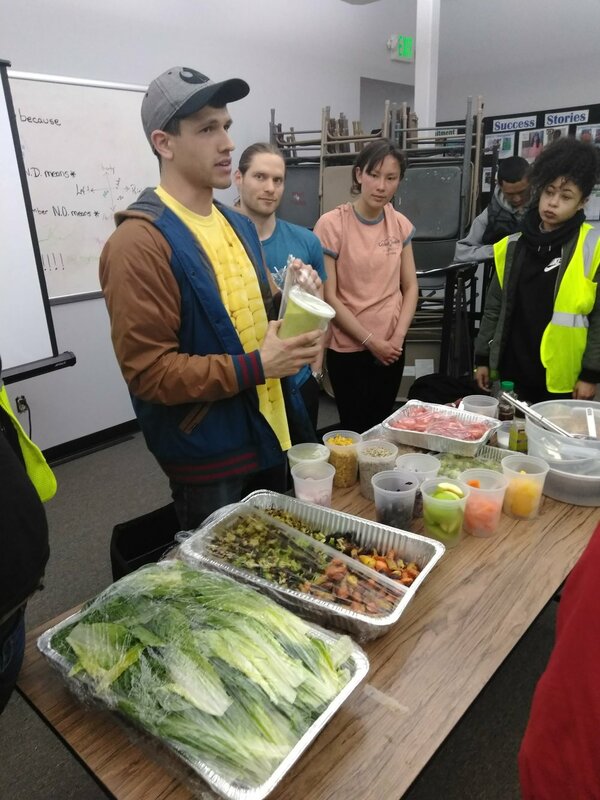 Our cooking class was a big hit, and Corpsmembers made healthy meals such as overnight oats, omelettes, and roasted vegetable salad. 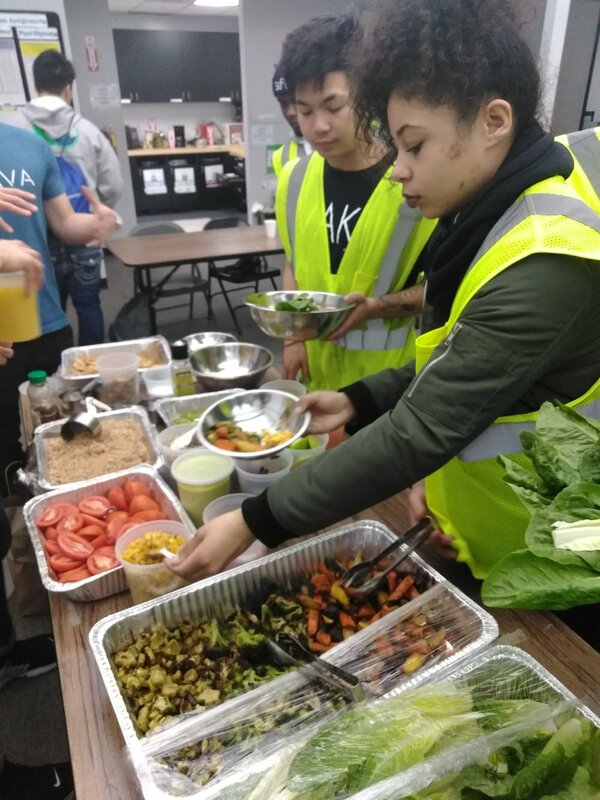 They also learned about eating well on a budget and the importance of nutrition. Thank you to our partners, who facilitated these workshops and engaged our Corpsmembers in activities that inspired them! 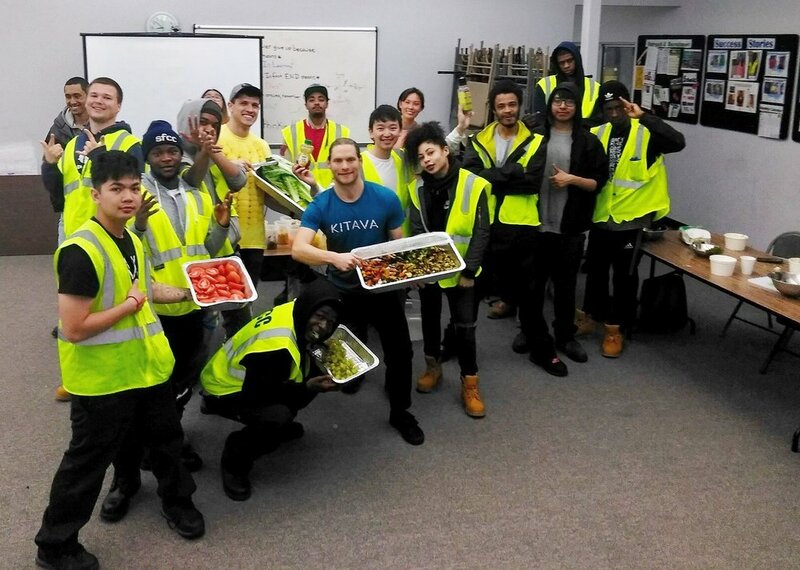 Our partners: Kitava Kitchen and Community Youth Center.